Liao-Hsun Chen designed Wind Cube concept keeping Urban city lifestyle in mind. Global warming is a big issue in this 21st century. More pollution is growing in Urban city lifestyle. Wind cube can be used by the families for the purpose of saving energy and reducing carbon foot print. According to tuvie, the average electricity usage of a household with four members is 324 kilowatt-hours per month. 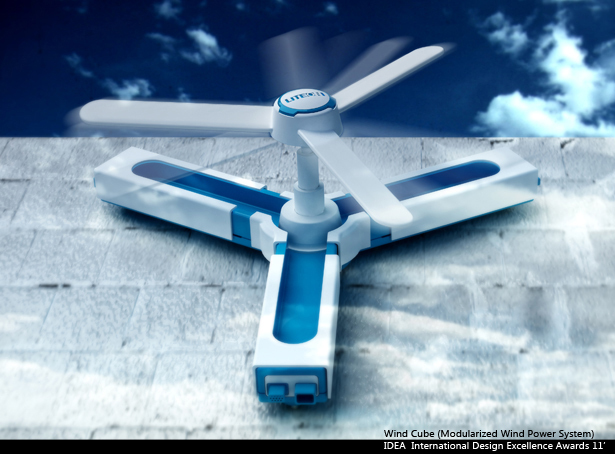 The “Wind Cube” is a 100-watt wind power generator. Each one can generate about 21.6 kilowatt-hours per month. Therefore, one “Wind Cube” can provide 1/15 of the electricity needed by a household per month. With more “Wind Cubes”, households can save more money spent on electricity and show more concern for our earth at the same time! 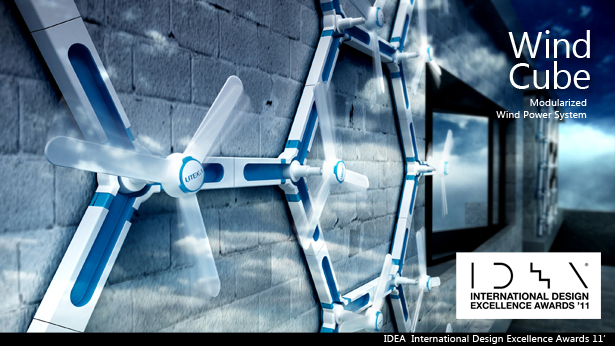 Simple 3 steps for users to build this 3D wind power system on their own. It’s very easy to use and it helps to reduce carbon footprint. During bad weather or strong wind, Wind Cube can retract the blades to avoid any damage, while in gentle breeze, the telescopic blades can be activated again. Each unit of Wind Cube is combined together to form honeycomb structure which naturally strengthen the overall structure.